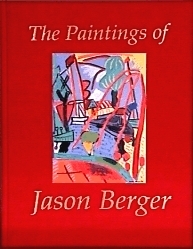 three color illustrations of Jason Berger's paintings, demonstrates the artist's close attention to and dependence on the world around him, and his ability, in such varied imagery, to express its effect on him. His plein air paintings reveal Berger's direct response to an actual scene, while other works, which he describes as his studio or flat paintings, depict reduced, abstracted images based on scenes from his plein air paintings evoked from memory in his studio. Where possible, the catalogue selection contains both the plein air paintings and the studio or flat paintings they inspired. Both types of paintings, while representational in subject matter, are infused with lusciously expressive and rapidly rendered brushstrokes and dynamic and imaginatively associated color forms. 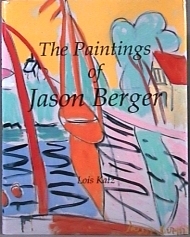 In his own words, Berger also gives an account of his life as a painter and his own views about his work. Other compelling insights into his life and work are revealed from interviews with family members and friends. PharMa International, Inc., framesplus.com & LaserInk Technology, Inc.